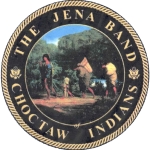 Jena Band of Choctaw Indians is applying for their PTAN so the process for billing services provided can begin. Once the application is complete, we will enroll with Medicare, Medicaid and Commercial Insurances. 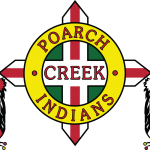 Poarch Band of Creek Indians had a project for THSG to complete. There was an issue with cash application in their pharmacy so there was old Account Receivable on reports that was applied elsewhere, but it was cluttering up the A/R reports. THSG started the process of writing off old balances, and it was bigger than life. After doing some research, we found an auto write-off program that IHS support can run according to specific parameters and with specific permissions that was able to write-off over 150,000 transactions. The A/R is up to date! IHS has our kudos for saving us months and months of time. We were grilled in detail as to why these outstanding transactions were in the A/R and were required to get the appropriate signatures for them to process the request. 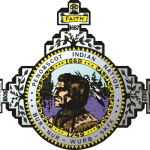 Penobscot Indian Nation has contracted THSG to provide coding services while their coder is out on FMLA. We have cleaned up their coding queue and have brought them up to date. Kudos to their providers who document their visits before the end of day! It has made our work easier to complete and for billing to submit claims. We have submitted our forms to the clearinghouse so that we can utilize the clearinghouse for Eligibility, Claims and Remittances. Eligibility, claim submissions and remittances for all payers will be on one site to streamline the Revenue Cycle. They will be going live shortly with Navicure. 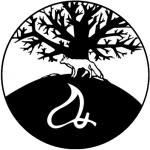 Mashantucket Pequot Tribal Nation has been billing since September of 2017 utilizing the clearinghouse. It was an easy process to implement and startup. Charity Robbins was kind enough to demo Navicure (the clearinghouse) to the group in Nashville at an IHS Billing Training. 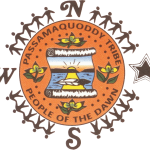 Passamaquoddy – Pleasant Point participated in an assessment of each person who has a role in Revenue Cycle. We are working on setting up training classes and working through procedures to insure the best possible return on Accounts Receivable. 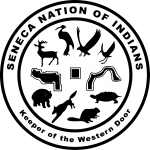 Seneca Nation of Indians is looking to revamp their entire Revenue Cycle process. Credentialing is working through a tracking process so that providers are credentialed and enrolled prior to seeing patients. Patient Registration is looking at ways to reduce interruptions by putting signs up where they make sense for patients entering their facility. We are also working through electronic eligibility checking and working with Patient Benefits so that patients can be seen and services reimbursed. Patient Benefits is looking at the best way to verify tribal memberships so that they can assist patients with procuring benefits whenever possible. Billing is implementing clearinghouse functions so that they can reduce the turnaround time for reimbursements and minimize rejections and denials. We are delving into additional training curriculum so that new employees have as much support as possible. If any of our Tribal Nations would like to utilize the clearinghouse, it will be at no charge until at least the end of the year. As many of you may know, it can be very expensive to utilize a clearinghouse, but with the volumes that are anticipated, the costs will be much less expensive if you were to sign up on your own. THSG has learned much over the last year and half. RPMS is not nearly as daunting as it once was. But the best lessons learned are that our Tribal Nations are not all that unique in their Revenue Cycle issues. When IHS conducted a Nashville Area Training session here in Nashville, many of our nations realized that they shared similar issues. Again, kudos to Adrian and Cynthia for setting up the training and sharing your knowledge with all the attendees! Purchase Referred Care (PRC) is another issue. There seems to be a disconnect in the process. We are researching the process with IHS to identify a solution. Check back with us in a few months on this one. Coding is an issue that is not quickly fixed. IHS provides American Association of Professional Coders (AAPC) training for certification, but the classes are only provided once a year. Coding inpatient facilities requires more investigation, so we are investigating coding software solutions to increase coding accuracy and decrease time invested. We will keep you updated. USET is also submitting another grant proposal that will allow THSG to continue working with all Tribal Nations to streamline the revenue cycle process.